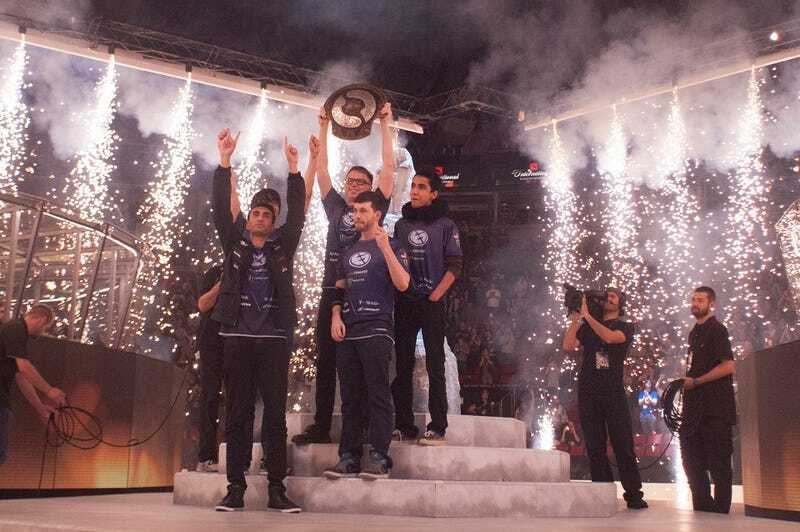 As a good American I was filled with a jingoistic fervor after the triumph of the Evil Geniuses at The International, the world championship for Dota 2, this past weekend. I like video games. I like sports. But I’ve never watched esports, not a single match of Starcraft 2, Dota 2, League of Legends, Heroes of the Storm, or anything else. In the hopes of learning more about yet another thing that the United States is better at than anyone else in the world, I decided to talk to Rob Zacny of the new podcast Esports Today on the Idle Thumbs network, for Shall We Play a Game? You can listen to Shall We Play a Game?, the podcast I host with former NPR producer and correspondent JJ Sutherland, here. A lot of sports fans play video games, as evidenced by the popularity of things like Madden NFL, MLB The Show, and NBA 2K. Those fans are the same people that esports appeals to, Zacny believes. When you toss around a football in your backyard, you’re not really playing the same sport that the professionals that you watch on Sundays in the National Football League are playing, Zacny pointed out. They have referees and uniforms and equipment that you can’t recreate at home. Esports is different. To me, esports feel like they’re having the same cultural moment in the United States that video games as a whole had about a decade ago. People are noticing how much money they make and wondering what that means, and whether they’re missing out on something meaningful. The people who run the world of sports and sports media, like the people who run the capital-c Culture in the United States, aren’t sure they respect video games. But they do respect the money. Surely the feature film, the Hoosiers or Miracle of esports, is next.